Other/Graduate School: Fluent in Spanish, certified bilingual by the University of Salamanca in Madrid, Spain. During his career, Ryan has handled numerous six, seven, and eight figure cases to successful resolution or verdict. Ryan’s recent litigation success includes a settlement in the case of Ealy v. Caltrans for $1,600,000, and receiving a $13,284,363 jury verdict in the case of Rogers v. Storms et. al. Ryan D. Harris is the managing attorney of Harris Personal Injury Lawyers. He has extensive experience in personal injury law and litigation. Ryan's early legal experience included clerking for a Superior Court Judge and working for insurance defense firms. However, his true passion lies in representing injured individuals and their families against major insurance companies. Ryan finds satisfaction in helping these less fortunate individuals. This has served him well, as he has successfully settled and/or tried to verdict numerous cases, both large and small, on behalf of his clients. After practicing personal injury law for several years, Ryan founded Harris Personal Injury Lawyers. Ryan formed the law firm on the principle that injured persons and their families should have access to the same quality legal representation as large insurance companies. Harris Personal Injury Lawyers is a premiere personal injury law firm. The law firm only handles personal injury cases, and only represents injured persons and their families. The law firm does not represent insurance companies. Ryan maintains the highest possible rating of 10/10 on Avvo.com. He was recognized by the Daily Journal for having obtained a Top Plaintiff’s Verdict of 2009. 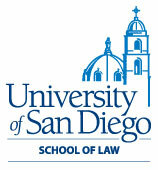 He was also awarded a 2010 Trial Star Award by the Consumer Attorneys of San Diego. 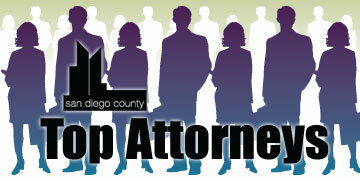 Ryan has been selected as a San Diego County “Top Attorney” for 2011 in the Personal Injury/Property Damage practice category. Ryan is a member of the American Bar Association, American Association for Justice State Bar of California, Consumer Attorneys of California, San Diego Bar Association, Consumer Attorneys of San Diego, North County Bar Association, Orange County Bar Association, Million Dollar Advocates Forum, Multi-Million Dollar Advocates Forum and The Verdict Club. Outside of work, Ryan enjoys spending time with his family. He has a strong appreciation for art and loves to travel. He also enjoys many recreational activities, including surfing, football and basketball.